Audioman offers exciting Menu Options! This theme supports and recommends using "Custom Menus". You can create Custom Menu through "Appearance => Menus" from your WordPress Dashboard. Please download and activate Essential Content Type Plugin to activate Featured Content, Portfolio and Testimonials feature on your site. 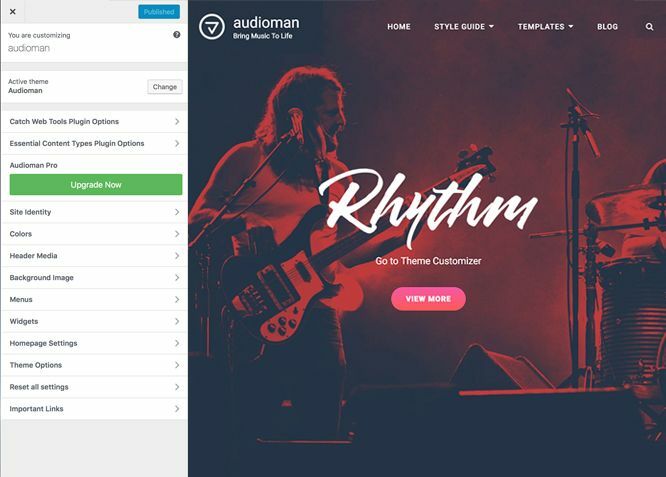 Audioman supports Custom Post Type(requires Essential Content Type Plugin ) as featured content. 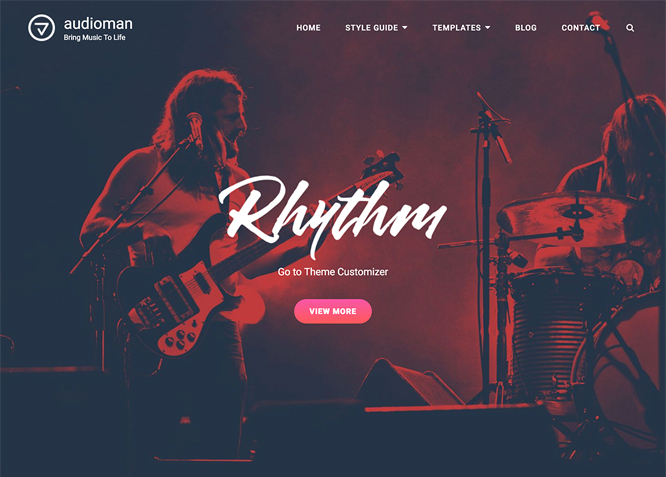 For Featured Content Options, go to "Appearance => Customize => Theme Options => Featured Content"
Audioman supports Custom Post Type as Portfolio. Audioman supports Page as Hero content. For Hero Content Options, go to "Appearance => Customize => Theme Options => Hero Content". Audioman supports Custom Post Type as Testimonials. Audioman currently has 4 widgetized (Sidebar) areas thay are: 1. Sidebar, 2. 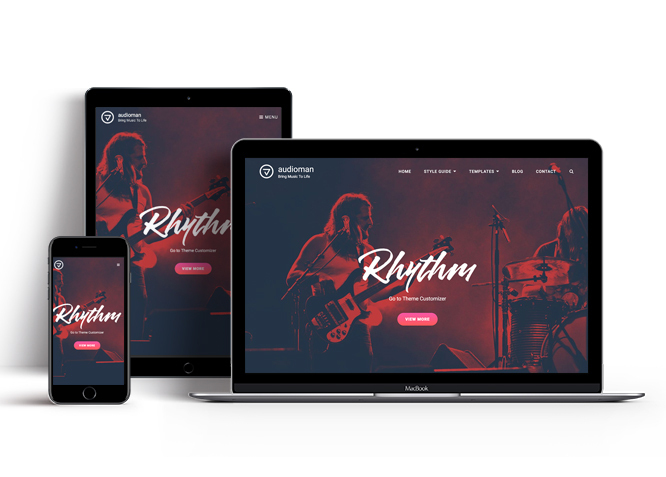 Footer One, 3. Footer Two, 4. Footer Three. Go to "Appearance => Widgets" or "Appearance => Customize => Widgets" in WordPress. Audioman supports CT: Social Icons. You can add widget in widget area as per your need.